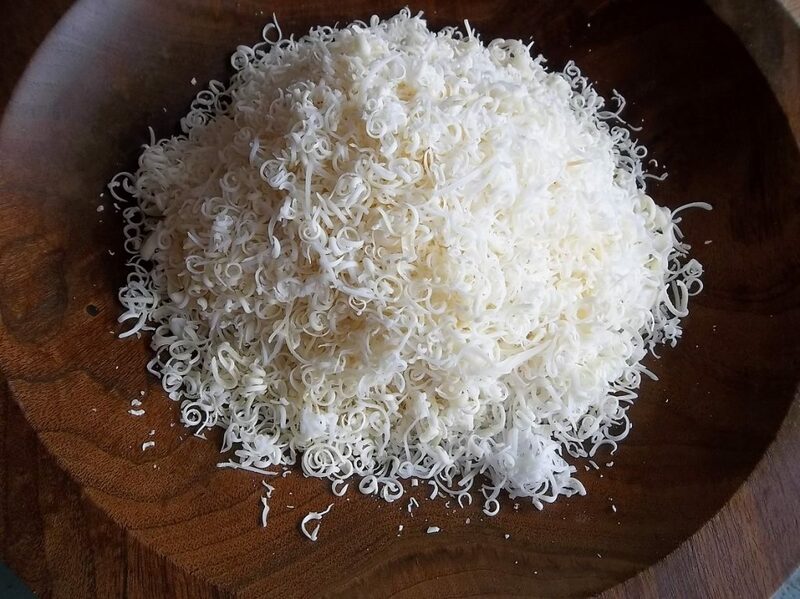 Since I’ve rediscovered soap flakes, I’ve leveled up in my cleansing game.This is a simple soap making method, that doesn’t require too much effort, but the end result is awesometastic. 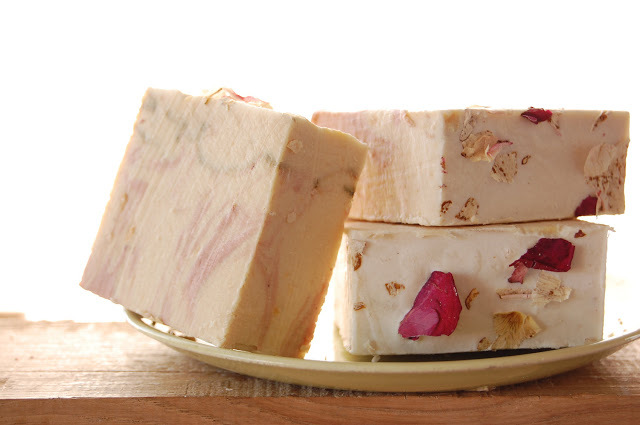 The almonds gently exfoliate, while the rose petals soothe and calm irritated skin. I absolutely love this combination and you will too! It’s gentle enough to incorporate into your facial care routine, and you can follow it up with my favorite rose water toner. When I was a kid, they still sold soap flakes in all the stores. 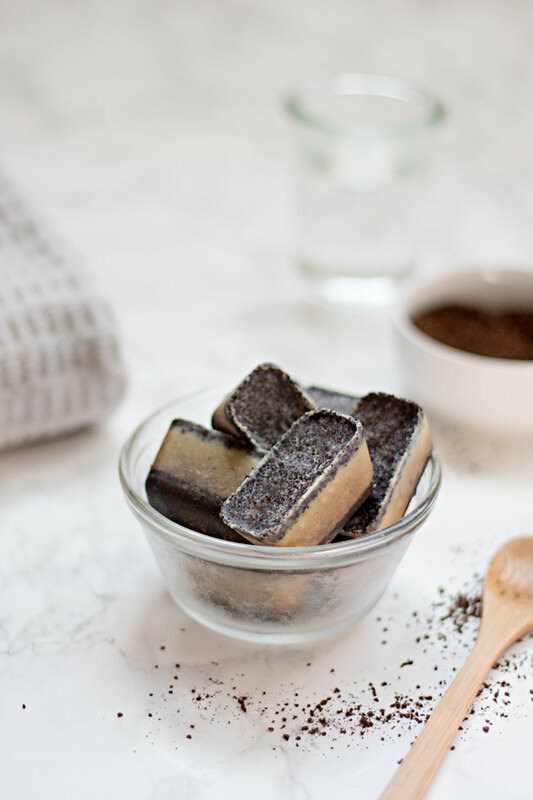 Soap flakes are, well, soap flakes. 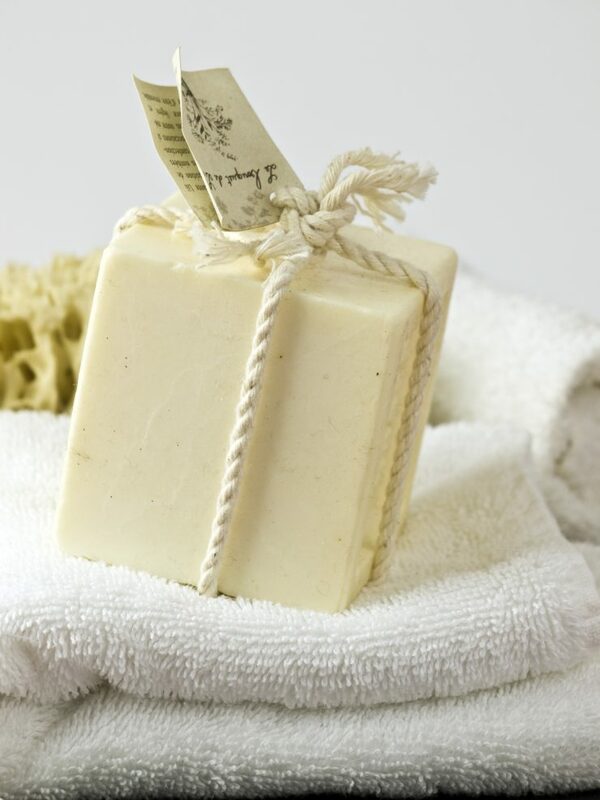 Dried, 100% pure, vegetable based castile soap with no added preservatives, bleaches, phosphates, or perfumes. If you’re old enough to remember that, you’ll probably remember how amazingly versatile soap flakes were. You could use them to clean everything from delicate wood floors to laundry to newborn babies. They were magical and just like that, they started disappearing from the shelves at the grocery store and were replaced by all kinds of products containing heaps of toxins. Anyway, I recently got my hands on some soap flakes and I’ve totally been on a cosmetic making rampage! I usually swear by Dr. Bronner’s liquid soaps, but some household products I make call for something a little bit thicker. Who doesn’t prefer creamy shampoo or laundry detergent? So I’ve been testing out some recipes for you lot, because of course I have. Not only are soap flakes extremely powerful (just imagine your laundry whites actually staying white), but they’re also gentle enough to use on the most sensitive of skin. This is an all in one kinda deal, folks! 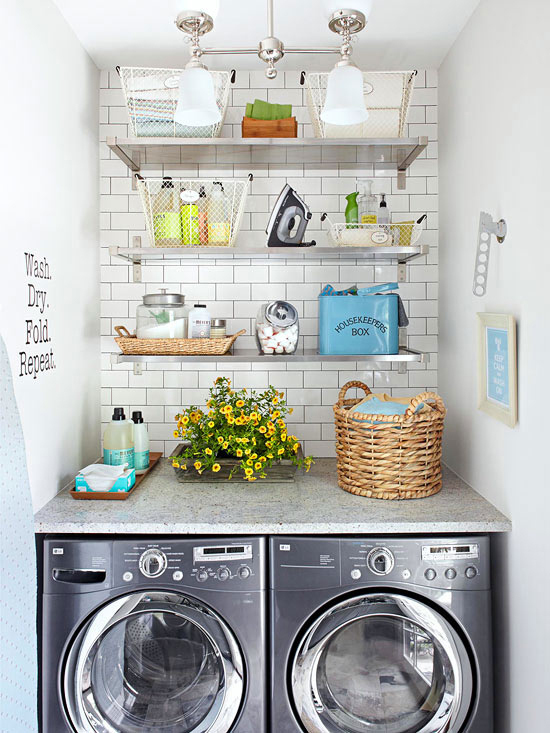 Laundering natural fibers and delicate fabrics including wool, cashmere, silk, linen, flannel, chiffon, cotton, and down. Washing and cleaning children’s toys chemically free. Shampooing wool and other fine carpets and rugs. Cleaning musical instruments, wood and metal. Shampooing pets, show dogs and show horses. Use in craft projects such as making frost for holiday trees, rock polishing, making soap crayons, carving soap sculptures. Safely combine soap flakes with other natural cleaning ingredients such as baking soda, borax and washing soda for extra cleaning power. Wash oak, pine, teak, walnut, linoleum and vinyl floors. Wash walls and wallpaper, wood products, fine furniture and priceless antiques. Wash boats, cars, and motorcycles with no harm to the environment. 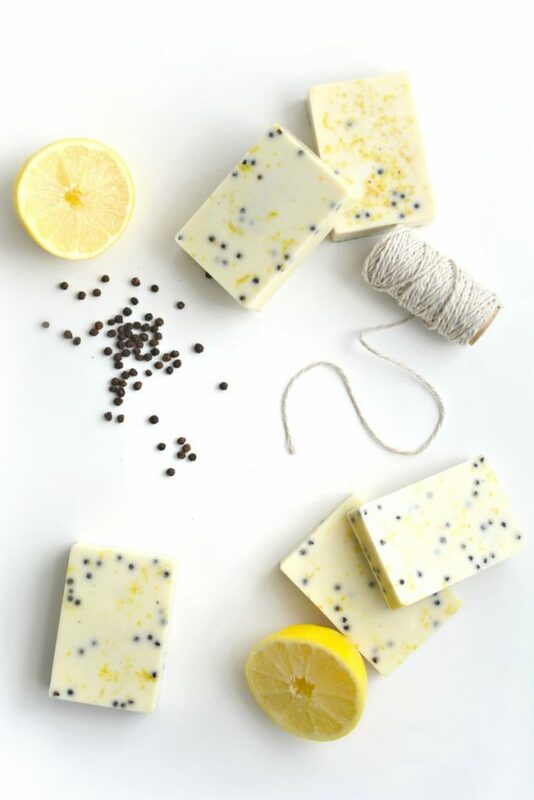 Dissolve soap flakes thoroughly in hot water and allow to cool to skin temperature before use. Washing Items by Hand: 2 or 3 tablespoons per gallon of water. Work fabric in soapy mixture and rinse well. Squeeze or pat dry. Top Loading Washing Machines: 1/2 cup per load. Front Loading Machines: 2 tablespoons per load. Dissolve flakes in hot water before pouring into machine. Do not use machine’s detergent dispenser. ***Always wash garments according to garment label. ***Also, I like to add a few drops of lavender essential oil to the diluted mixture before throwing it in the washer. It smells divine!